So far, there's no official information about the release dates for these devices. However, if this new report from Korea is to be believed, they will happen rather soon. According to sources of Yonhap and The Korea Herald, Samsung will launch the foldable Galaxy F and Galaxy S10 series in March of 2019, shortly after their official announcements at next year's MWC Barcelona. The tech giant has a history of releasing its Galaxy S smartphones in the first quarter of a given year, and Sammie has officially stated that we should expect the Galaxy F before July of 2019. Thus, although speculative, the estimations in this report do seem believable. A lot of new changes are also supposedly coming to the more "traditional" Galaxy S10 series. The new lineup is said to feature a design with virtually no bezels, a fingerprint scanner and front-facing cameras under the display, and three cameras on the back. If this sounds interesting to you, make sure to check out this article containing our hot renders based on all the rumors that have emerged so far. Can't wait for this beast! 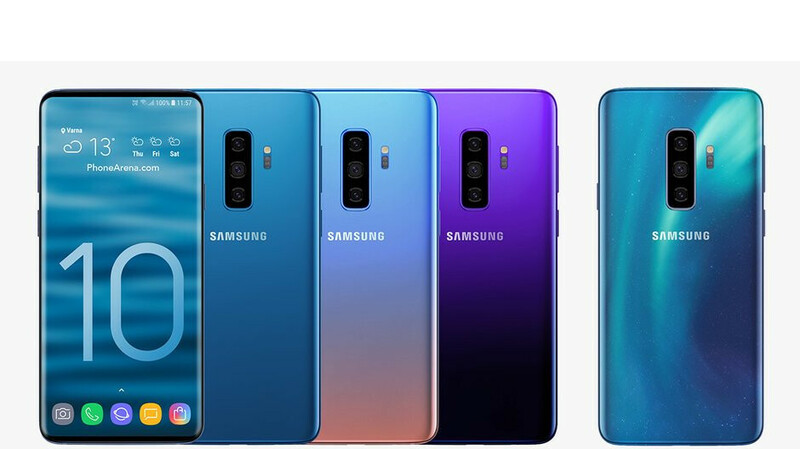 I wish the S10 would look anything like that concept picture. That would be beautiful.